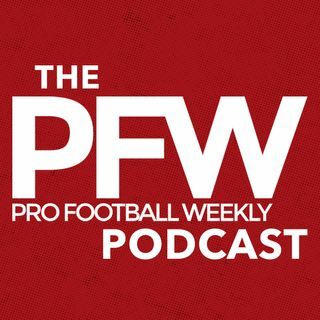 On the latest PFW podcast, Matt Maiocco of NBC Sports Bay Area discusses his early impressions of the new-look 49ers under Kyle Shanahan and John Lynch. What early roles will rookies Solomon Thomas, Reuben Foster and sleeper RB Joe Williams play? Matt breaks down the Niners' biggest additions then gives his take on Colin Kaepernick's free-agent limbo and whether Seattle is the best situation for the embattled ex-Niners QB. Next up, Ryan O'Halloran of the Florida Times-Union ... See More details the highs and lows from the start of Tom Coughlin's second Jaguars stint. Is the new football czar setting up coach Doug Marrone for success? Ryan shares why he thinks Blake Bortles, and Leonard Fournette, will have solid years despite lingering O-line questions, explains his biggest remaining concern over Jacksonville's talented 'D' and offers a fantasy sleeper worth monitoring.